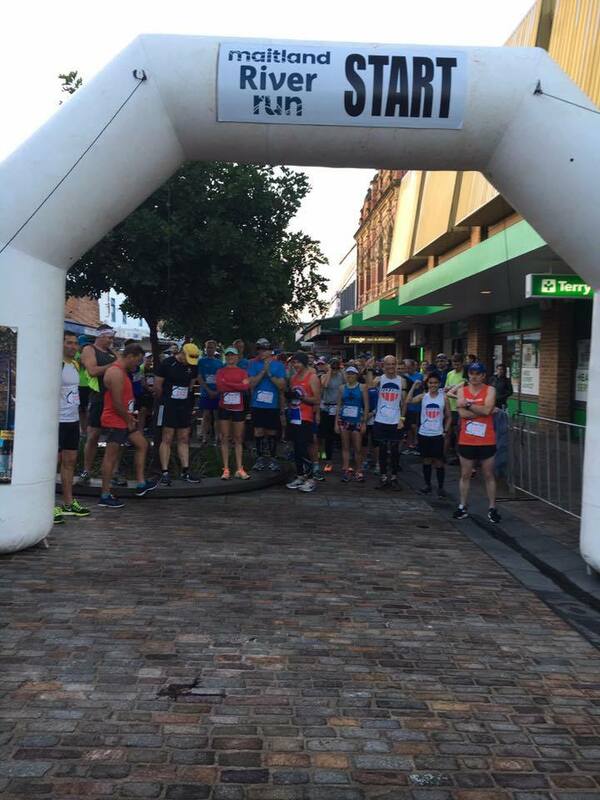 ​It was with great interest to enter the first ever half marathon as part of the Maitland River Run. Hearing the rain battering down much of the previous night was a big worry especially the strong sou east wind as well. Thankfully come Sunday morning at 5am I got up to calmer conditions with no rain. Had the obligatory Aldi Lasagna the night before, no breakfast just a home made hot chocolate before leaving. Arrived to my usual parking spot close to the Mall, short walk to Race Rego, pick up race kit, fit bib and timing chip, wander round for a bit, then some warming up while I'm all rugged up, once I get warm back to the car as race time gets closer, shed the warm gear, do some more warming up in my race gear, Skins long tights, Flyers singlet, and Altra paradigm 2 zero drop shoes. ​Hardly any wind and blue sky, you beauty! Catch up with fellow runners I know, great comrade as always, some more warming up and chatting to people, then back to the start for the race briefing. One gel in my pocket, that's my normal nutrition for a half marathon. Was a 15 minute delay, no drama, as the horrible weather the night before made course setup tougher. The wind was almost calm, and the sun breaking through, virtually perfect conditions now. I seed myself near the front line hoping for a smooth getaway. Veteran sports commentator Mike Rabbit was on the mike, then final race briefing a countdown and we're off! Initially a bit crowded as we jostle for position, then wind back the pace to a bit faster then 4 minute pace. We settle in to rhythm. I note the pavers are quite slippery when wet, so make a note to be careful and slow right down for turns. Down along the river, amid heaps of cheering, I note the leader isn't that far ahead, though means little so early in the race. There's the leader, then a tight group of 2nd, 3rd and me 4th. Down along the river and up the hill at western end then back, then I note the then race leader had dropped back to us, wow, this is the closest to the pointy end of a Half I've ever been to, little did I know it would stay that way. A bit further and I gain positions as the reader falls behind, then another position to be now 2nd. Really nice to be close enough to see the lead bike, Paul Humphreys leading us along the course. Now onto the half marathon course not run before in past river runs. Some turns, then over the pedestrian bridge, tough with the uphill ramps and sharp turns. Pace still around 4 mins sometimes a bit faster. Heart rate not excessive, around 145 or so. When we hit turns its mentally tough to quickly get back up to speed and stay with the leader, but I'm determined to do so. Wind at best a light breeze, I'm thankful for that thinking we would be very exposed to wind in Maitland Park. So we run together round Maitland Park, back to the mall, along the river, I have to work harder round the turns as I don't want to risk a fall. Lots of cheering along the mall and down at the river, by gee its a nice course, but I'm not stopping to take photos! I'm now staring to thing, could I podium in this race, a half marathon? The good thing about the turnarounds is that we can monitor who's coming up behind us, and each turnaround sees position 3 seem not that far back nut at least not gaining again. 10 kms, I get out my gel, and when I see the next drink station, gulp it down. As I'm dreadfully uncoordinated I have to virtually stop to get a drink, slurp that down then push hard to make up the tens of metres lead the leader, Emmanuel has. Back along the Mall then river for the 2nd time, more cheering and turns to navigate, but the volunteers do a great job. ​Alas just couldn't do that. 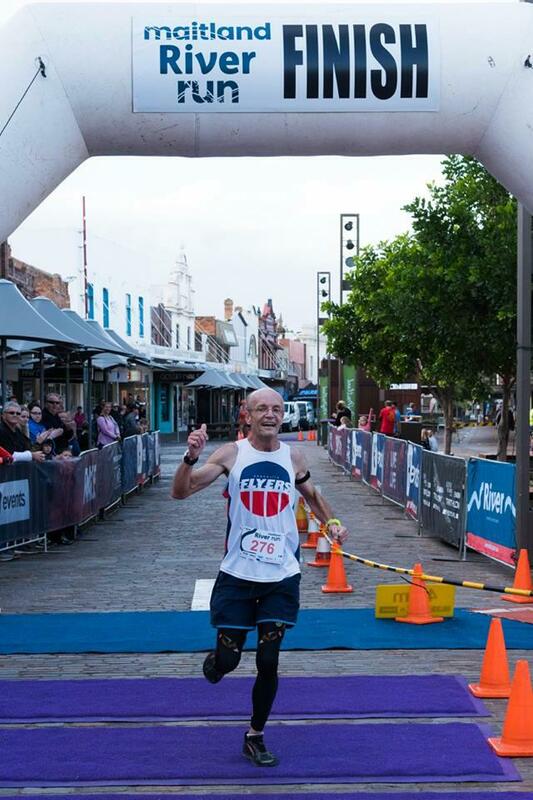 Over a timing point then there's the finish arch, I hear Mike Rabbit announce the leader, then “Scott Alder 50-59 age group” Over the line and its done, official time 1:24:20, 10 secs behind the winner Emmanuel Genlot. 2nd place for me, first podium in a half marathon. Over to the recovery area amid congrats from onlookers, take off timing chip get a sports drink then wander back to watch more finishers come in. I go shake hands with the winner. Back to the car to take my 30g dose of protein and Milo, head back, I catch up with more people, both finishers in the Half and those to run in the other events. Lots of hand shaking all round, and more to come as I congratulate finishers of the other races. Finish refueling with a hamburger and hot chocolate. ​Thanks to H Events and all the wonderful volunteers, who actively participated by cheering us on, and plenty of drink stations. ​Nice glass trophies too! I'm quietly confident the 2019 half marathon there will be a more popular event, it really is such a nice course. The facilities in the mall “Levee” are great, nice new toilets right next to Race rego and easy access through to the river. Parking is great, never far from the start/finish. Plenty of shelter if the weather turns nasty. There were lots of great performances in the other races, in particular Ben Toomey, taking the 4, 8 and 12k races. See you there in 2019!